What a pleasure, what a joy to be part of this family. From today we are musical partners with one of the greatest online radio stations, specializing in conscious reggae and dub. Perhaps some of you already visited RootsLab Intl radio in the past. Since it's shutdown a couple of months ago, the admins decided to resurrect the old project adding lots of additional goodies. 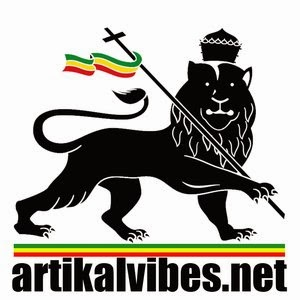 Artikal Vibes broadcasts nonstop 24/7 with live broadcasts from well known selectors from all around the world spread positive vibes to the massive. Dubophonic has become one of their official vibes provider and many tunes from our release catalog have been playing for the last month by the top Artikal Vibes selectors. Selectors like Atomic Brillie, Warriah Force (Dubette Naomi), Gibsy Rhodes (King of the Underground) and Digikal Roots, just to name a few, are spreading the Dubophonc vibes to the four corners of the world. So I would say, tune in and give them a Big Up!!! ... and the good news are still to come since Dubophonic, represented by Dub Thomas, has joined their selector team with a dedicated weekly show :) You know, Dubophonic is a family thing and we are very happy that our family keeps on growing. Big respect to all the Artikal Vibes crew for the warm support. Tons of love to all Dubophonic artists. The first two sessions are already online and you can listen to them. We would be more than happy to see all Dubophonic artists support this new project since many of their tunes are oft featured on the station. And this is only the beginning massive. More things to come very soon!